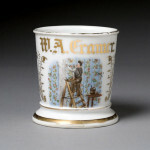 Shaving mug with image of early car with chauffeur in driver’s seat. 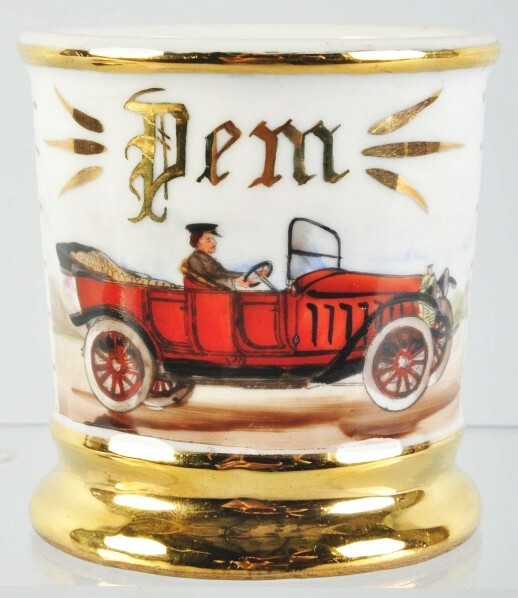 Gilt name “Pem”. Beautiful heavy gold and nice full blue wrap. Size: 3 – 1/2″ T.